Now, more than 15 years later, their lives are drastically different—and Chloe is married to Adam. When he’s murdered at the couple’s East Hampton beach house, Chloe reluctantly allows her teenage stepson’s biological mother—Nicky—back into her life. 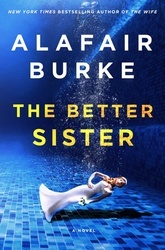 But when the police begin to treat Ethan as a suspect in his father’s death, the two sisters are forced to unite.